Our guest services team is here to help you! (24-hour cancellation notice required for full refund). Located on the front plaza on the right side of the restroom building. Or contact any Zoo staff member for assistance. If you have an emergency situation, please seek immediate assistance from a Zoo staff member. Do not call 9-1-1. Our staff members are trained to quickly communicate critical details, locations and entry points to emergency personnel and expedite their assistance. Nursing mothers can find privacy in the first aid office on the front plaza if desired. Designed with families in mind, these special restrooms are located in Gorilla Forest, the Splash Park and also in the main restroom building on the front plaza. Smoking (including E-cigarettes) is prohibited throughout the Zoo. Designated outdoor smoking areas may be found at the African Outpost back deck and behind the Splash Park area. 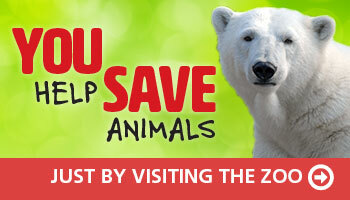 See designated areas on your Zoo guide map. We appreciate your cooperation. 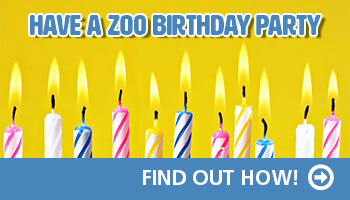 The Zoo offers gift cards that you can redeem at the Zoo for membership, tickets, education programs, ADOPTS, gift shop items, rides and concessions. Click for more details.